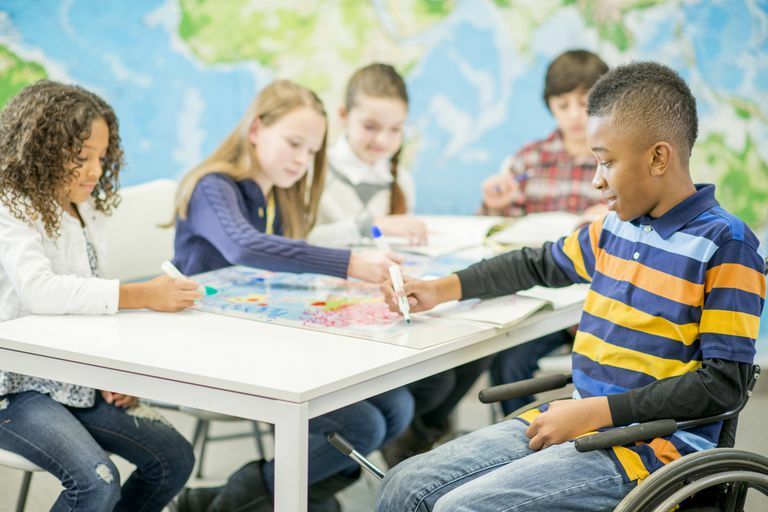 The Individuals with Disabilities Education Act (IDEA) is the federal law that outlines rights and regulations for students with disabilities in the United States who require special education. As a parent, it's important that you understand the IDEA and how you can use it to work with your child's school. Under the IDEA, all children with disabilities are entitled to a Free Appropriate Public Education (FAPE) in the Least-Restrictive Environment (LRE). Some students are also entitled to Early Intervention (EI) and an Extended School Year (ESY). The law specifies how schools must provide or can deny services. It also informs parents about their rights and how you might be able to work with the school district in the interest of your child. If your child has a learning disability, disorder, or any other types of special needs, it's important that you familiarize yourself with IDEA. If the language in the legislation contains too much jargon, you can ask a special education advocate or someone else familiar with special education law to help you understand it. Teachers in the special education program at your child's school may also be good sources to ask about IDEA. The U.S. Department of Education sums up IDEA in simple terms on its website. It notes that the law specifies how "states and public agencies provide early intervention, special education, and related services to more than 6.5 million eligible infants, toddlers, children and youth with disabilities." IDEA also allows parents of children age 2 and under to obtain early intervention services. Meanwhile, parents of older children — those between the ages of 3 and 21 — receive special education and related services under the law. IDEA is important because it allows students with disabilities to get the education they need to thrive. In the case of small children, IDEA allows parents to access the services necessary to prevent learning disabilities and other disorders from completely derailing a child's academic career. Thanks to early intervention programs, parents of children with autism can receive services to help these children with communication and other interpersonal skills from an early age. Once children are in school, IDEA mandates that teachers and school officials take their specific needs into account. Children with learning disabilities can't simply be ignored or overlooked in public schools because federal law mandates that schools must take action to serve them. IDEA also gives parents tools to fight back if they believe a school or a school district is neglecting their child's needs. While IDEA sets out to prevent children with special needs from being discriminated against, it is not a perfect law. It is not uncommon for parents of children with learning or physical disabilities as well as other challenges to voice complaints. In some cases, they think schools cut costs or take other adverse measures that negatively affect their child's access to a free and appropriate education. If you think that your school is in violation of IDEA, contact your special education advocate, a lawyer, or the U.S. Department of Education. You can also join organizations made up of parents to find the support needed to navigate your school district's special education program.